Monica Haller: Why is this not a book? 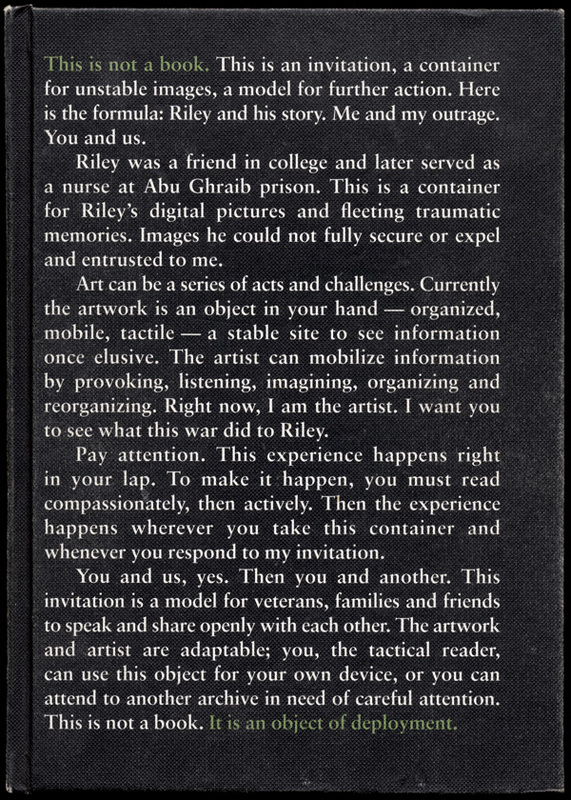 I’m starting up a discussion board about Monica Haller’s project Riley and His Story (despite it’s highlighted first-sentence disclaimer, it made my photo-eye faves from 2009 list) on the Minnesota Museum of American Art’s Facebook page. There are a slew of links there that tie to information about Monica and the project. I encourage you to spend time with this project; it’s simultaneously subtle and audacious, and it depends on interaction, the reactions, emotions, and thoughts of its audience, to activate it fully. In other words, give and take, take and give. Link here for the discussion (titled “Monica and Riley (and George (and you))” on MMAA’s Facebook Pages site. Link here for Monica’s Riley site. FULL DISCLOSURE FINE PRINT: I’m a board member of MMAA, so I do have a vested interest in promoting its activities. However, it is currently a museum without walls, exploring the virtues of the virtual, and I thought this exchange with Minnesota-based Monica Haller merits placement (and promotion) there as a programmatic entity in the museum’s portfolio. Feel free to disagree.